What Is A Short Marriage Property Settlement? 18 Nov What Is A Short Marriage Property Settlement? 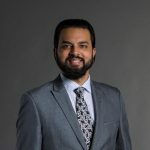 Since his admission as a Solicitor, Harpreet has obtained excellent outcomes for his clients in Family Law matters and has appeared in both the Family Court and the Federal Circuit Court for a wide range of matters. Harpreet has completed a Bachelor of Laws and a Bachelor of Commerce (Accounting). Although a property settlement is a common occurrence, property settlement outcomes are never the same. A short marriage property settlement can be quite different from that of a long marriage. Marriages end at different times and in different places, and each short marriage has its own specific circumstances and individual aspects to take into consideration. However, there are some similarities that property settlement proceedings for short marriages have in common. How Short Is A Short Marriage? In terms of family law, a short marriage is one that has lasted less than five years. Whether a marriage is viewed as a short one in court can also depend on how long the couple lived together before getting married. The length of a marriage can and does often have an effect on the way a property settlement is carried out. What Happens In A Property Settlement? A property settlement or financial settlement is a type of financial order made under family law that divides a couple’s assets and liabilities. A divisible pool of assets comprises the assets to be shared between the parties. Property settlements are determined on the basis that the decided property split is just and equitable for both parties. This does not always mean 50 per cent for one and 50 per cent for the other. Property settlements are adjusted depending on the contributions each party has made to the marriage. These contributions can be financial, such as income earning for the family, or non-financial, such as caring for children or maintaining the family home. Financial and non-financial contributions are generally regarded as equally valuable. Adjustments are also made depending on the future needs of each party. The court has the authority to decide how much weight is placed on these considerations. How Does This Apply To A Short Marriage Property Settlement? The length of a marriage affects the way the court assesses the contributions of each party to the relationship. The principle that non-financial domestic contributions are roughly equal to financial contributions may not apply to short marriages. A closer examination of the financial contributions of both parties is more likely in a short marriage property settlement, especially if the couple has no children. The court will also concentrate on initial contributions to the marriage. These are the assets, such as considerable savings, an inheritance or a property, that each party brought to the relationship at the very beginning. Initial contributions tend to be quite significant in short marriages because they still have a substantial effect. On the other hand, initial contributions may not be particularly relevant when conducting a financial settlement at the end of a long marriage. As such, for short marriage property settlements, the court may decide to exclude a party’s initial contributions from the property pool. If one party’s initial contributions are included in the pool of assets, adjustments may be made in favour of the other party. The court may place an equal value on non-financial and financial contributions if the domestic duties were particularly difficult. If there are children and one party is now their primary carer, adjustments may be made in this party’s favour. The parties may have conducted their financial affairs separately, and this also has an effect on the way the property settlement is determined. There are two ways to establish the divisible pool of assets. An asset-by-asset approach means different pools are created for different types of assets. The contributions to each pool and the way each pool is divided are then determined separately. A global approach, on the other hand, looks at the property as a whole and places it in one pool only. The court decides on which approach to take according to how just and equitable it would be for both parties. A short marriage property settlement was recently heard in Melbourne. It was between Mr Hemiro and Ms Ramos, who married in 2010 and separated in 2016. As they did not cohabit before getting married, theirs counts as a short marriage. Ms Ramos owned a house known as Property A, which Mr Hemiro wanted to be sold. He sought orders to use the resulting proceeds to pay mortgages and credit card bills, dividing the rest of the money 70-30 in favour of Ms Ramos. Ms Ramos wanted to keep Property A and wanted Mr Hemiro solely responsible for his credit card and business loans. The husband and wife had kept their financial affairs largely separate. The court took an asset-by-asset approach to this short marriage property settlement, creating different pools for assets, liabilities and superannuation. Ms Ramos was ordered to pay a cash adjustment of $48,275 to her ex-husband. She kept Property A, while Mr Hemiro kept the assets of his business.